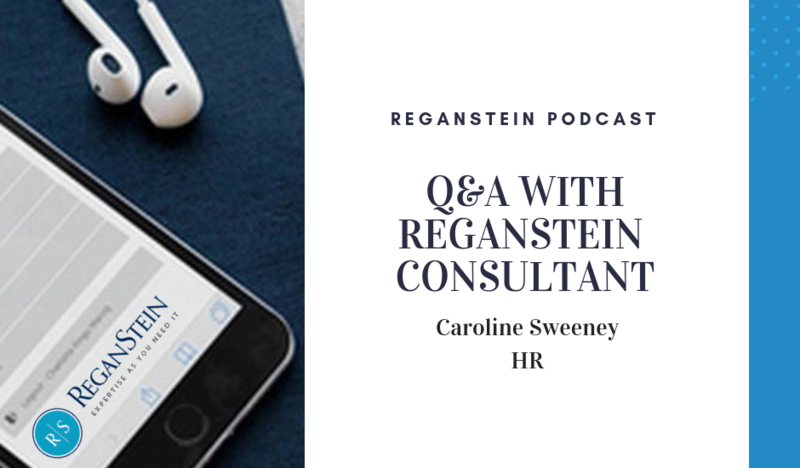 Today on the ReganStein podcast we care joined by Caroline, one of our panel experts in the area of HR. Caroline has over 20 years experience in Learning & Development and HR management in blue chip companies. She has redesigned organisation structures to drive continuous improvement, negotiated major change programmes with unions, implemented a Lean Culture and has handled mergers and takeovers. She also has vast experience designing and facilitating development programmes for Managers, Teams and individuals in a range of competencies, from Leading through Change, to preventing Bullying & Harassment. You can listen to our podcast below.